For more details, visit www.shoparoo.com/faq.html! 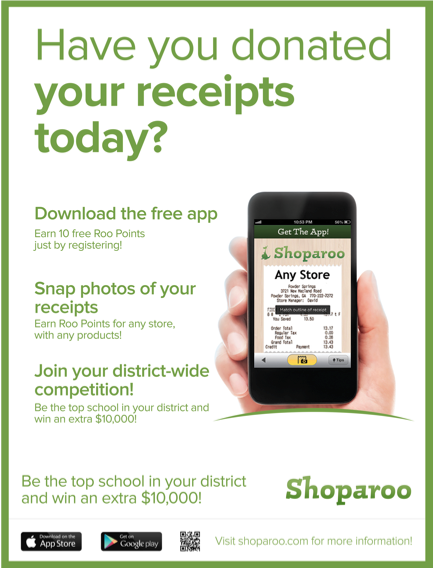 This year Patriot Oaks Academy is participating in a hassle-free fundraiser called Shoparoo. Nationwide, 7,000+ schools are already fundraising through Shoparoo and we see it as great opportunity for us to make a difference this year. Click to download the app now!